Hotel Exe Moncloa, Madrid. 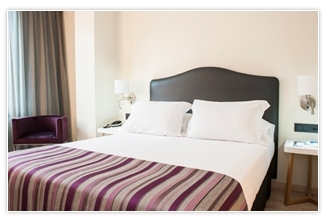 Exe Moncloa Hotel Madrid. 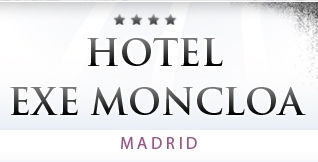 Exe Moncloa is a 4 star hotel in Madrid, where you can find different kind of services to satisfy your needs while travelling. In the ground floor of the building you can find eating places and gastronomic sales points as a traditional market. We have another choices as a Kiosk, The Vegetable Garden, Flour & Sugar, Salt & Pepper, The Vineyard de Arriba, The Pub de Abajo, Embers, Aperitifs, etc… Apart from this culinary offers, the Exe Moncloa provides other excellent services for customers: gym, sauna, steam bath, garage and our charming outdoor “plunge pool”, located on our rooftop terrace with panoramic city views. Besides, hotel provides 3 meeting rooms for business purposes.